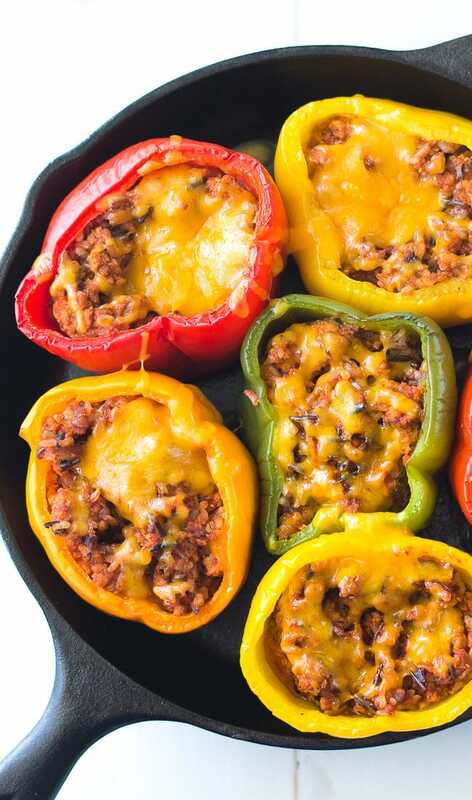 This delicious ground turkey stuffed peppers recipe is a healthy alternative to traditional stuffed peppers. It’s truly one of my favorite ground turkey recipes! I love stuffed peppers. I’ve prided myself on having the best stuffed peppers recipe in the world, but this recipe by my mom is a close runner-up. 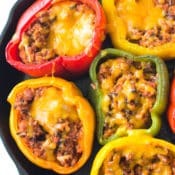 I love this ground turkey stuffed peppers recipe because it’s no-fuss and always a hit with my family. 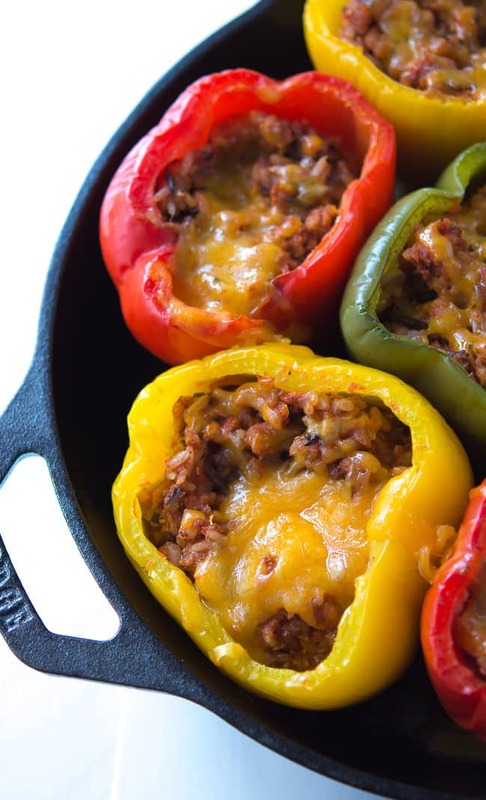 I made these ground turkey stuffed peppers in a cast iron skillet , but honestly, you can put them any old sort of pan that works for you. I’ve gotta admit that I love how they look coming out of the oven in that pretty cast iron skillet, though! I think I’ve mentioned before that I don’t like my stuffed peppers swimming in red sauce. This recipe has just the right amount of sauce inside, and you can certainly add extra to the skillet or pan before you pop it into the oven. RELATED: Don’t miss my ground turkey vegetable soup recipe! Also, we’ve just uploaded a wonderful free printable measurement chart to help you remember how many cups are in a quart! In an effort to reduce the amount of red meat we consume, we’ve been eating a lot of ground turkey. Ground turkey recipes offer a great way to reduce some of the fat in the dish, and frankly, I think my kids must prefer the taste of ground turkey to ground beef because these always go down the hatch without any complaints. That’s saying a lot when it comes to my kids. 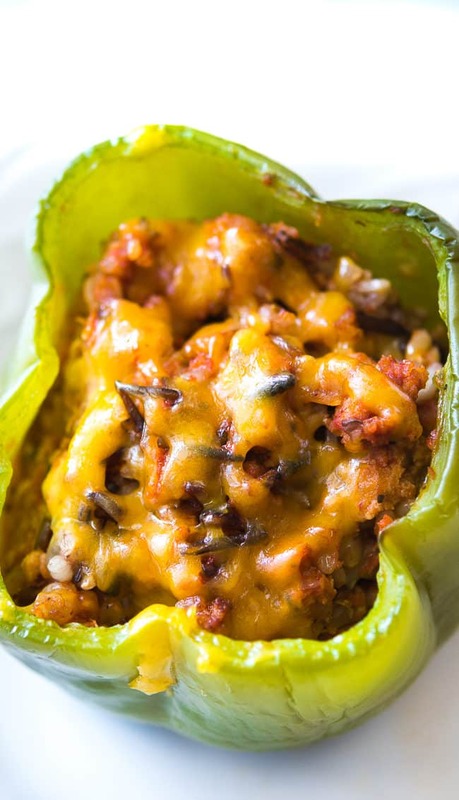 This ground turkey stuffed peppers recipe is great because it’s so versatile. If you would prefer ground beef, it’s an easy swap. You can also easily add more veggies to the mix or change the cheese. You can lighten this recipe up even more by cutting back on the cheese or using a reduced fat cheese! 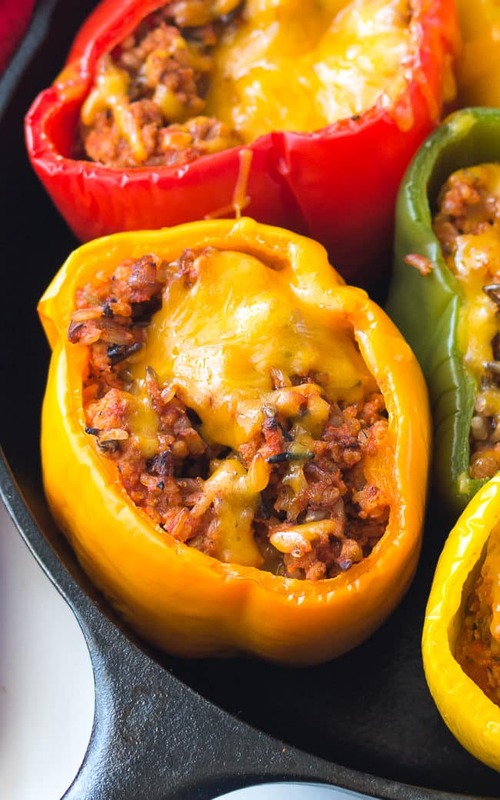 I hope you enjoy this ground turkey stuffed peppers recipe. You can print the recipe below! Looking for some more tasty ground turkey recipes? You’re in luck, because we have a few great ones! I’ve also included a few ground beef recipes that could be swapped with turkey. In a large skillet add the olive oil, garlic and onion, saute until tender. Add the turkey and brown until thoroughly cooked.